IC Fabrication, VLSI Design, Analog & Digital IC design. Advanced Analog and Mixed Signal Design, VLSI Test and Testability, Low power VLSI design, VLSI architecture, RF Microelectronics, FPGA and ASIC design, Physics & Modeling of Microelectronic Devices. Reconfigurable computing, Hardware software code design, Real time systems, Embedded System design, Software for Embedded Systems, Wireless Sensor Networks, Pervasive computing, System Specification & Modelling, Network Embedded Application. Communication Systems, Advanced Digital communication and Data Networks, Telecommunication Switching and Networks, Virtual Private Networks, Optical Communication & Networks, Wireless & Mobile Communication Networks, RF MEMS & Microwave communication Circuits, Antenna Theory & design, Satellite Communication. Polymer Waveguide Based Optical Power Splitters by Department of Information Technology. Modeling and study of poly-crystalline silicon for solar cells and thin-film transistors. Study of electrical Behaviour of Nanocrystalline Silicon Thin-Film Transistor. Inter-area oscillation control using embedded energy storage in interconnected power system with distributed generation. Examination on conversion of carbon black to carbon nano tubes (CNTs) using arc discharge method. Modernization of Fiber Optics Laboratory, Optical Communication Laboratory and Power Electronics Laboratory. Design and development of an efficient soft-switching converter with adaptive maximum power point tracking (MPPT) controller for a standalone photovoltaic power generation system. Design, development and implementation of a building integrated photovoltaic system for rural application. The International Symposium on Circuits, Systems and Signal Processing (ISCSSP) is a comprehensive symposium on the latest trends in the focussed areas of circuits, systems and signal processing which will be held at Birla Institute of Technology and Science, Pilani, Pilani Campus, Rajasthan, India. The symposium aims to provide an international platform to present technological advances, launch new ideas and showcase research work in the field of circuits, systems and signal processing. A student team from BITS Pilani, comprising of Mr. Vandit Gandotra (Project Lead), Mr. Piyush Sharda and Mr. Tanmay Sharma from the Dept. 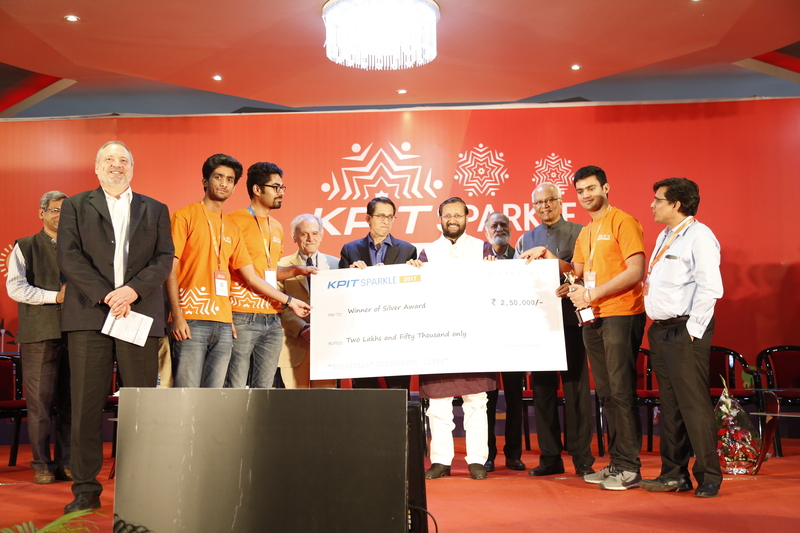 of Electrical & Electronics, bagged the Silver position in National KPIT Sparkle 2017- Smart City Innovation Challenge. The team's proposal on Efficient Traffic Management was selected from among 1700 projects from all over India and awarded a cash prize of ₹2,50,000. The award ceremony was graced by Shri. Prakash Javedkar, Union Minister - MHRD, Prof. R.A. Mashelkar, Ex-DG, CSIR, Dr. Kiran Karnik, Former President, NASSCOM, among others.